Magic may save Zoraida’s skin, but what about her heart? Zoraida Grey needs help. With the witchy Logan clan holding her best friend hostage in a haunted Scottish castle, she can’t trust anyone—certainly not beguiling but dangerous Shea Logan. And Al, her overprotective boyfriend, doesn’t believe in magic. Only one creature strikes fear in the blackened hearts of the Logan witches. Trouble is Jock disappeared five centuries ago leaving a trail of destruction across the Gulf of Mexico. Now he’s stepped into a steaming pile of Voodoo. Can Zoraida drag wayward Jock back to Scotland? And what’s she supposed to do with two men who promise completely different futures? A Scottish wizard, stripped naked and painted blue—a Voodoo priestess bent on immortality—a yacht-load of Caribbean pirates. What can possibly go wrong? Source: I received a free copy of this book and opted to post a review. Desperate to rescue her best friend, Zhu, from the Logan clan in Scotland, Zoraida goes on a perilous journey to find the one person who can help her; her grandfather, Jock. However, it seems that Jock has problems of his own and needs her help to rescue his daughter from her mother, a human who is dabbling in voodoo and witchcraft to secure her immortality. As if being in imminent physical danger isn't enough, Zoraida's human boyfriend, Al, has decided to tag along on this adventure. The problem is, Zoraida's heart is torn between Al and Shea, a smoking-hot witch who belongs to the Logan clan. After all, debating on the merits of two guys while tracking down a human who is playing with forces beyond her comprehension is the path to victory. 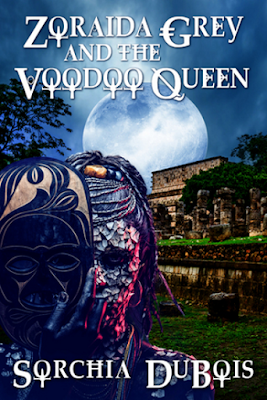 The good news about this book is: if you read the first book and thought it started out slow, ZG and the Voodoo Queen doesn't. It seems that DuBois covered enough of the backstory so she could start this book with a bang. The bad news is: if you haven't read the first book, you're going to miss a lot of the references to the events and people in the first book, Zoraida Grey and the Family Stones. That's why I recommend you read the first book before diving into this one. I absolutely loved the vivid setting, Zoraida's inner narrative, and the chemistry between Zoraida and Shea in this book! DuBois' description of the environment is amazingly detailed and immersive. The setting creates a perfect backdrop to the tension, magic, and mysticism that the plot contains. I could almost feel the heat and humidity of the jungle, and empathized when Zoraida felt shivery when magic was afoot because I felt it too! Zoraida's inner narrative is a dazzling combination of humorous self-deprecation, sarcasm, and wit. It's like Practical Magic, Charmed, and The Craft had a baby and named it "Zoraida Grey." She's still trying to wrap her mind around all of the magic she's learned and how powerful she's become; once she does, the results are going to be nothing short of epic. However, one of the issues that Zoraida has to overcome in order to achieve these epic heights is her heart; she has feelings for Al, but she's falling in love with Shea. The book does end on a cliffhanger but, seriously, it's no surprise after what Zoraida went through to find Jock. 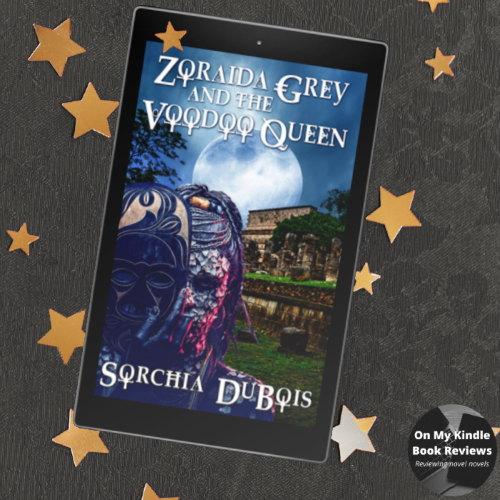 Zoraida Grey and the Voodoo Queen is a great second installment of what is swiftly becoming one of my favorite series. If you like magic, different locales, and romance, you don't want to miss out on Zoraida Grey! Award-winning author Sorchia Dubois lives in the piney forest of the Missouri Ozarks with seven cats, two fish, one dog, and one husband. 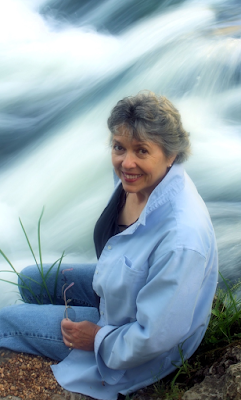 She enjoys a wee splash of single-malt Scotch from time to time and she spends a number of hours each day tapping out paranormal romance, Gothic murder, and Scottish thrillers. A proud member of the Ross clan, Sorchia incorporates all things Celtic (especially Scottish) into her works. She can often be found at Scottish festivals watching kilted men toss large objects for no apparent reason. Her stories blend legends, magic, mystery, romance, and adventure into enchanted Celtic knots. Halloween is her favorite time of year (she starts decorating in August and doesn’t take it down until February) and her characters tend to be mouthy, stubborn, and a bit foolhardy. Nothing makes her happier than long conversations in the evening, trips to interesting places, and writing until the wee hours of the morning. Well, chocolate cake makes her pretty happy, too. 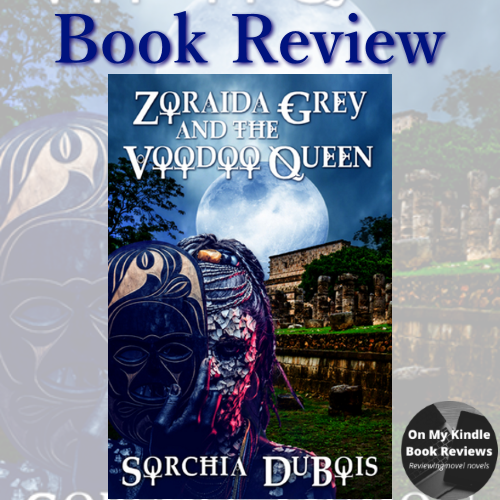 Find Zoraida Grey and the Voodoo Queen Online! 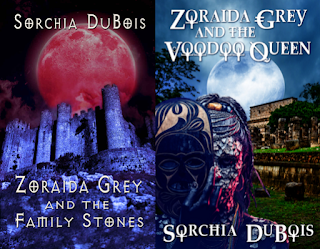 Find the Zoraida Grey Series!